Day 14 of the 24 Days of Tea advent calendar and it’s a straight tea! Irish Breakfast is the tea of the day, and I’m pleased as I’m having it in the morning. 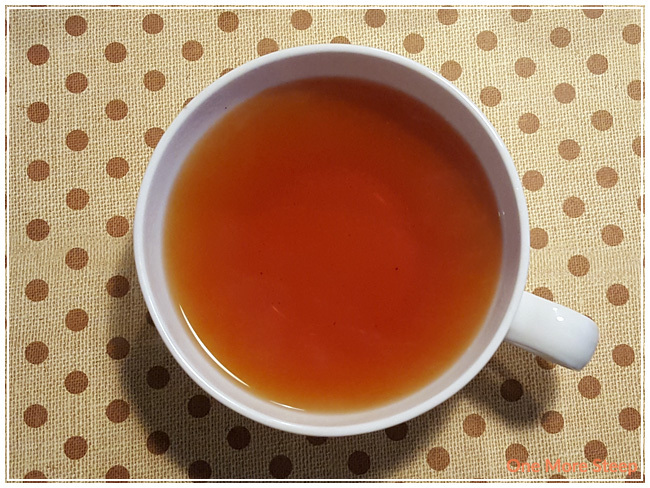 I quite like breakfast teas in general because they tend to be bold in flavour, and easy to mess around with when it comes to tempering the strong flavours to something that takes you well into into the afternoon. I haven’t had DavidsTea’s version of Irish Breakfast before, the dry leaf smells quite strong with a malty fragrance to it that is new yet familiar to me. 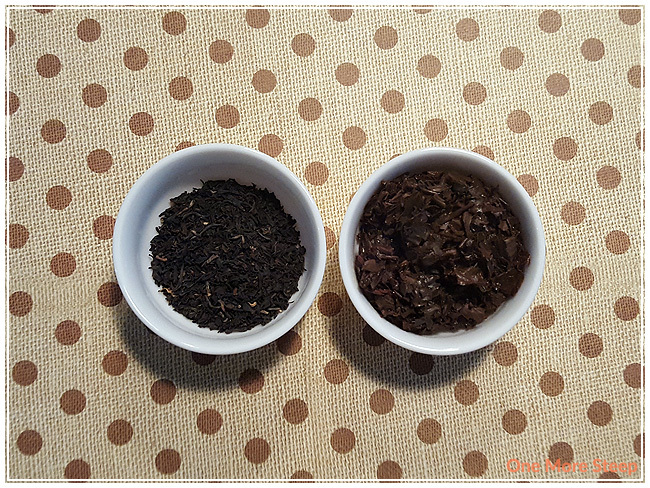 Irish Breakfast simply consists of: black tea from Assam, India, and Dimbulla, Ceylon. The steeping recommendations for Irish Breakfast are to steep in near-boiling water (90-95°C/194-203°F) for 4 to 7 minutes. 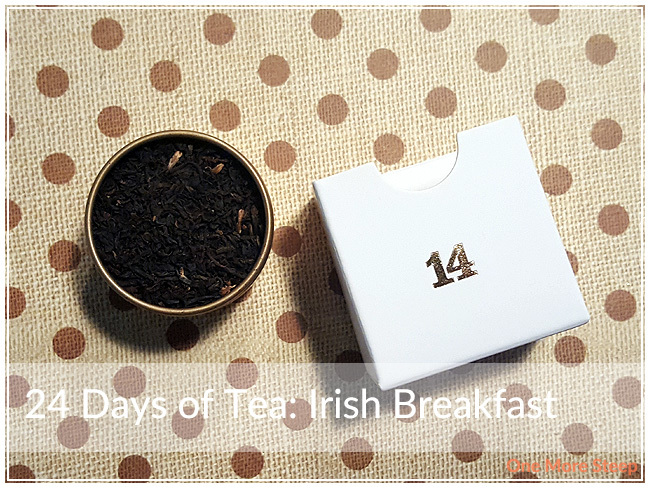 I steeped Irish Breakfast in my Tea For One teapot for 4 minutes. Irish Breakfast steeps to a deep red, and has a strong malty smell to it as it steeps. On first sip, I’m almost overwhelmed by the malty flavour of the tea. It’s quite strong, and there’s just a subtle hint of bitterness at the end of every sip. I can’t imagine what it would be like if I had steeped it for a full 7 minutes (would it have been undrinkable? Maybe!). I wouldn’t steep it for more than 4 minutes, perhaps even closer to 3 or 3½ minutes. There’s just a touch of astringency that makes my mouth want to pucker, but it’s enjoyable and similar to my other experiences with breakfast teas. I tried out Irish Breakfast with some cream and sugar, and found that it takes to it very well. I wouldn’t have expected anything different from a strong black tea. I resteeped Irish Breakfast a few times, just to see how it would do. It resteeped well for a second time, giving me a similar cup of tea. I found by the third steep the flavours just weren’t there. I would say that Irish Breakfast is good for one more steep only. 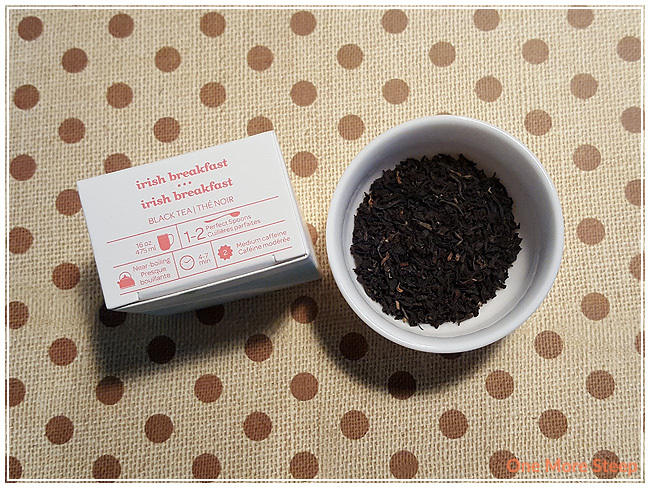 I loved DavidsTea’s Irish Breakfast. It’s quite nice to have a nice, straight tea after a whole slew of flavoured tea blends. Irish Breakfast makes for a nice strong cup of black tea, and has a good about of malty flavour to it. I would not recommend steeping it for more than 4 minutes, at least not for the first steep. There are cheaper breakfast teas out there, but I would say that this one has a good amount of flavour and the ability to be resteeped puts itself above the bagged breakfast teas out there.